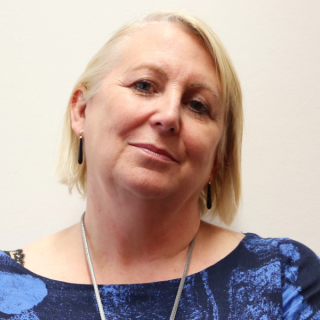 Our Head of Improvement Bev Fitzsimons wrote a blog for NHS England in support of Dying Matters Week (14-18 May) in which she described the work of our end-of-life care collaborative ‘Living Well to the Very End’. As the Dying Matters theme asks ‘what can you do?’ it is good to reflect on what we can do to support the carers in the system to keep in touch with their humanity, while at the same time being able to carry on with their challenging jobs, especially in caring for people at the end of life. It is not a solution for NHS staff to ‘toughen up’ in order to carry on. We know that this results in psychological distress for staff and less patient-centred care for patients and families. At the Point of Care Foundation, we provide this sort of support through programmes such as ‘living well to the very end’: a collaborative which brings teams together from across the NHS (30 organisations so far), which supports staff to see care through the eyes of patients and families through shadowing, and then make meaningful changes – both big and small – that mean the world to them. This method is simple but powerful and enables staff to reconnect with patients’ and families’ experiences. The origins of this programme lay in our desire to improve the experience of patients who were approaching the end of life, and their families, at a time when staff in general (rather than specialist palliative) care settings were describing a lack of confidence in how to provide the best possible care for people approaching the end of life. Of course, this remains our primary objective, but in doing this work we have discovered another equally important outcome: the benefits to staff of this work, reconnecting them with their reasons for being in the caring professions in the first place, caring for people at their most vulnerable. The methodology has helped staff to gain confidence and thus improve their own wellbeing. Again and again, we hear from staff that ‘a job well done’ in end of life care has a significant impact on them. As Cicely Saunders said, “How people die remains in the memory of those who live on” – that goes for staff as well as patients. So what can staff do to make this difference, when it can seem that the system is so slow to change? Most beneficial is building the courage of staff within the multi-professional team to have conversations as people approach the end of their lives, so that we understand people’s wishes and preferences and can respond to them. How can we provide patient-centred care if we don’t know what is important to the individual? As well as this, there are numerous examples of changes that make care just a little bit more human: family members being able to get food or stay overnight without leaving their relative, or park the car without fear of fines and charges; the use of symbols to indicate when someone is approaching the end of life, so that staff take extra care in their manner around them; extra care and sensitivity about bereavement support and the way in which the deceased person’s belongings are handled; personal cards sent by ward staff to bereaved relatives. These sort of changes build the confidence of staff to believe that there is so much that they can do when we might think “there is nothing more we can do”. We are currently recruiting our next cohort of “Living well” teams, with work beginning in earnest later this year. Get in touch if you’d like to find out more. This blog was originally published on the NHS England website.